Men At Work’s Colin Hay will morph from Classic Rock to Classical when he makes his Melbourne Theatre Company debut in Shakespeare’s ‘The Twelfth Night’. Colin Hay will return to live performance duty in Australia in April around his Bluesfest appearance. We’re all used to hearing Colin Hay on such uptempo gems as Who Can It Be Now? and Down Under but, there is a soft side to the singer, too. Matt and Luke Goss of Bros talk about the early fame, the departure of Craig Logan and the legal issues with their then-manager Tom Watkins ahead of their one-off show in Sydney this November for their reunion world tour. Colin Hay, The Shins and The Magnetic Fields lead this week’s new music releases. 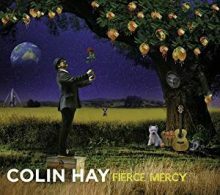 Colin Hay, the ex-frontman for Men at Work and all around great live entertainer, has announced his next studio album, Fierce Mercy, will be released on March 3 via Compass Records. 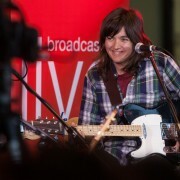 Courtney Barnett will be the first rock and roll animal at Sydney’s Taronga Zoo tonight for Twilight At Taronga. Singer songwriter Colin Hay has weighed in on the current racist wave of opinion rampant in Australia at the moment with an open letter to football hero Adam Goodes. The Colin Hay story ‘Colin Hay: Waiting For My Real Life’ will premiere at the Melbourne Film Festival in August. 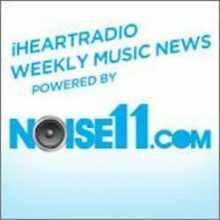 Colin Hay, former lead singer of Men at Work, continues to carve out a successful solo career with the release of his new album, Next Year People, due on February 17 from Compass Records. Men At Work singer Colin Hay has written about the death of his fellow Men At Work band-mate Greg Ham. Men At Work sax and flute player Greg Ham has been found dead at his home in Melbourne. We're all used to hearing Colin Hay on such uptempo gems as Who Can It Be Now? and Down Under but, there is a soft side to the singer, too.